We're sure that Boxing Day's excitement will be no different. Next always keeps pretty quiet about its notorious sales, but we're fairly certain it will be taking part in Boxing Day 2018, if last year is anything to go by. For 2017, the retailer slashed prices by as much as 70 per cent on womenswear, workwear, menswear, kids clothes, beautiful homewear and big brands. Boxing Day falls on December 26th but last year Next launched its sale from 3pm on Christmas Eve both in-store and online – make sure you don't miss a trick by signing up here for updates. Can't wait another second? Shop the current clearance here. In the recent years, Next has managed to shake off its frumpy connotations and come up trumps as a fashion destination. The retailer now stocks labels like Lipsy, Karen Millen, Ghost and Finery but also featuring up-and-coming designers like Rejina Pyo and Isa Arfen in its Label Mix range. But its not all about the womenswear – you can can nab great value homewares, workwear, menswear and kidswear, as well as flowers and gifts at Next. 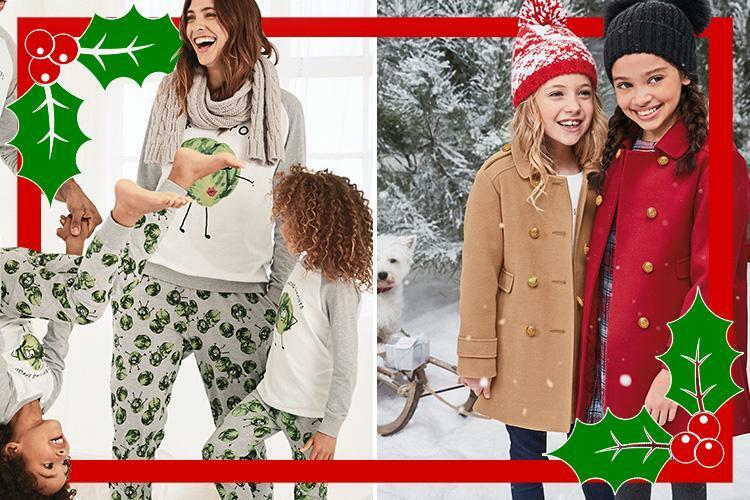 We're obsessed with the adorable kids clothes (you can get baby, boys, girls and teens) and the matching Christmas pyjamas for the whole family – see more matching styles here. What should I look out for in the NEXT Boxing Day 2018 sale? Womenswear – we don't mean to go on about it, but Next has really upped the style stakes this season and there's no better department so splurge in. Footwear – Next's footwear offering is really on-trend (inspired by designer styles from the likes of Prada, Attico and Balenciaga) this season, but you can still find comfortable classics for yourself and the kids. Outerwear – if you have your eye on one of the retailer's coats or a puffer for your kids, hold out until after Christmas when they will be considerably cheaper. Menswear – invest in workwear essentials like smart trousers and shirts while they're at their cheapest. Homewares – refreshing your decor for the New Year? Buy rugs, throws, cushions, table settings, crockery or refresh your decor – now is the best time to splash out on a new sofa or bed. Kidswear – Next has a huge range that starts from baby sizes all the way up to age 16 – they even have some 'mini me' items so that you can twin with your little ones. Sportswear – shop sports and activewear brands like adidas, Ivy Park and Superdry. New year, new you? December 26th is the best time to update your look – get a heads up on upcoming fashion and footwear sales here, and shop the best Boxing Day 2018 beauty deals here. Or, new decor…hit refresh come January when furniture and homewares are often half price – these are the best sales to bookmark. How much will my NEXT delivery cost? If you're a die-hard Next fan, or just a self-confessed late night shopper, its worth coughing up the annual fee of £20 for unlimited Next Day Delivery – you can order anything before midnight and still get your purchases by 12pm the very next day. Otherwise, you'll pay £3.99 for Next Day Delivery, which is one of the best deals on the high street. If you're saving the pennies, you can order to your local store for FREE or send to a Parcel Shop location for £2.50. Returns are always free of charge.